Wrapped in the quiet charms of Himachal Pradesh, Timber Trail in the city of Kasauli is a quiet little hill station. The destination is an emerald beauty with its many pine and coniferous trees. 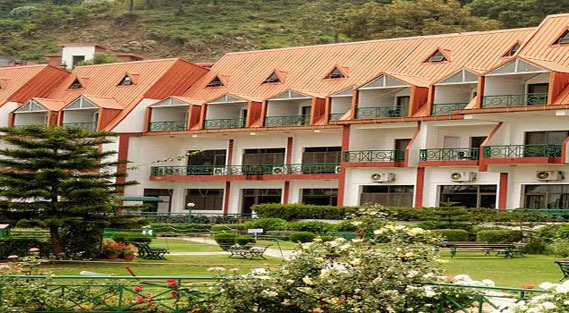 Perhaps the most sought-after destination around in Kasauli's Parwanoo, Timber Trail is a favourite among the backpacker community and students alike. Well within the bounds of the city and away from it still, this place is the perfect place for the ones who are looking for serenity within the hustle bustle of the town. The view from the heights of the Timber Trail is breathtaking in every aspect. This place is popular for its ropeway rides, which are a thrilling experience. Sliding through the mountain ways while surrounded by the incredible natural beauty is a refreshing experience. The deep gorges right below the ropeway will give you an incredible adrenaline rush without even moving your feet! A few quaint hotels are also available here, which are the perfect place to stay over and enjoy the virgin charms of this destination. Kasauli's Monkey point is the highest point of the town and is one of the most famous attractions of the place. Located at a mere distance of 4 kilometres from the bus stand, this destination has a small temple dedicated to Lord Hanuman. Being the highest point of the town, the Monkey point has some scenic views to offer. You can capture the bird's eye view of the nearby cities of Chandigarh, Kalka, and Panchkula from this point. The mighty river Sutlej can also be seen coursing its way through the mountain ways and combined with the enchanting view of the nearby mountains is a breathtaking scene. Local legend dictates that while fetching the Sanjeevani herb for Laxman, Lord Hanuman's foot touched this spot. You would be surprised to learn that the top of the hill is shaped like a foot. "Tapp's Nose" was the name given to this unusual shape of the rock. There is a small temple dedicated to Lord Hanuman set on top of the hill which always remains crowded with monkeys. The fresh mountain breeze coupled with the reverberating sounds of temple bells is a unique encounter with serenity and should not be missed. Thus, Monkey point is a perfect spot for the nature lovers who adore getting lost in what can be described as a wonderful combination of scenic views, hopping monkeys, and peaceful vibes. Built in the year 1923 by the Britishers, the architecture of this Church is influenced by a blend of Indian and Victorian styles. However the church was damaged by a fire in 2008 and all internal furnishings were destroyed.